After local leaders stood on the banks of Brays Bayou to celebrate a creative agreement that is expected to speed up work on a long-delayed effort to lessen the risk of flooding in southwest Houston, some angry Meyerland-area flood victims peppered them with questions. The press conference was called to tout a plan under which the city of Houston would borrow $46 million from the state, give the cash to the county to speed up work on Project Brays, then be reimbursed later with federal dollars. City officials hope to repeat that process for two other bayous – White Oak and Hunting- ultimately forwarding the county about $130 million. For more background on this effort, click here. For more information on another recent flooding initiative Mayor Sylvester Turner and his “flood czar,” Steve Costello, announced, click here. 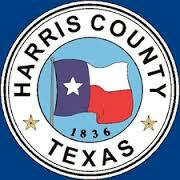 And for more information about Project Brays, visit this county Flood Control District page. Turner — who, like flood control officials — was mobbed by residents after he stepped down from the podium, answered questions for several minutes before departing. 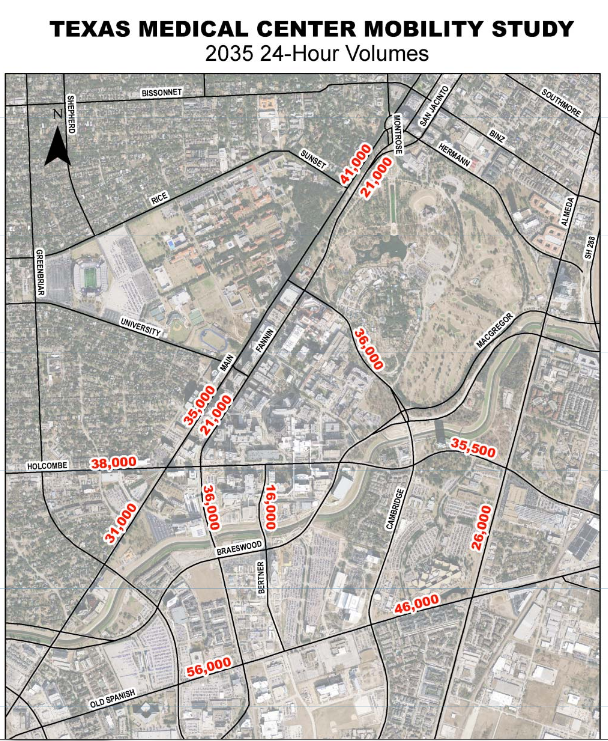 Harris County Flood Control District Director Russ Poppe said his agency expects to complete channel widening through Meyerland to Fondren in the next two years. The city loan, which will be used chiefly for downstream bridge replacements, is important, he said, because bridges that are too low can create significant backups, heightening the flooding risk for those upstream. The Mayor’s press release is here, and as you can see there are statements from multiple other elected officials, at different levels of government. The plan, which has received preliminary approval from Council, is a bit convoluted, but it’s also an example of Mayor Turner leveraging his experience in the Legislature to forge complex agreements. Homeowners who have been badly harmed by recent floods had some understandable questions about how all this will affect them, not all of which are addressed by this plan. Still, I think we can all agree that bayou improvements are a key component in flood mitigation, and streamlining the process to make it happen more quickly will help. It would be nice if we could come to a similar consensus about preserving flood plains and wetlands, but one step at a time. The Press has more. It’s a story about flooding and the Mayor’s race, but not the story about flooding and the Mayor’s race you might have been expecting. 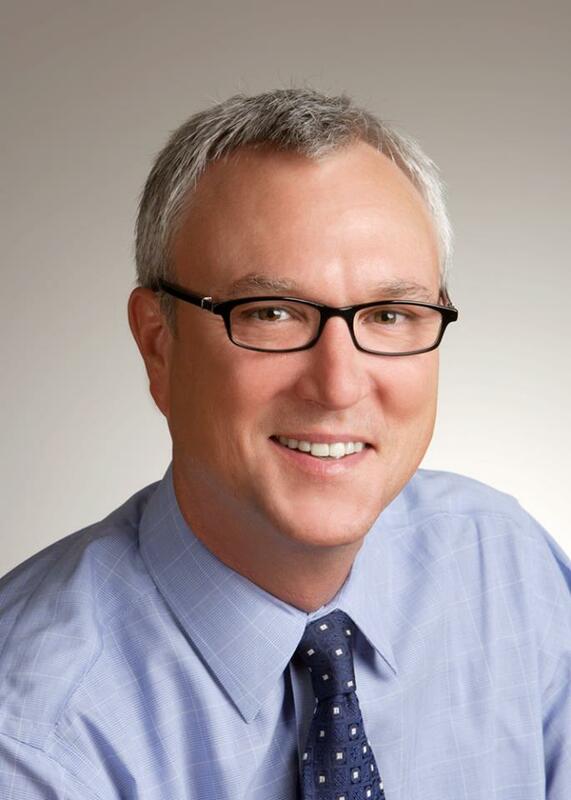 Mayoral candidate Chris Bell on Sunday called for an independent investigation into why so many Meyerland homes flooded during the heavy Memorial Day weekend rains. Surrounded by about two dozen residents at a press conference by Brays Bayou, Bell said it was important to figure out why infrastructure projects in the area didn’t prevent major flooding and why others were not completed on schedule. Bell challenged the assertion, backed by experts, that flooding was inevitable considering some areas were hit with more than 10 inches overnight. “The least we are owed is an explanation of what happened,” said Bell, a former congressman and city councilman who lives in Meyerland. Bell called for an outside investigation, saying that a report by the Harris County Flood Control District would be “biased” because the agency helped design projects in the area as part of the city’s drainage and streets program, ReBuild Houston. A spokesperson for the agency could not be reached Sunday. Bell is not the first of the seven mayoral candidates to criticize the city’s ReBuild Houston initiative, the pay-as-you-go program that voters approved in 2010, in the wake of the Memorial Day flooding. Many of the candidates vying to replace term-limited Mayor Annise Parker have seized on the flooding to criticize the city’s infrastructure or talk about speeding up flood mitigation efforts. Well, except that Bell never mentions ReBuild Houston in this story, and that the next three paragraphs have to do with Tropical Storm Allison in 2001 and the effect it had on Brays Bayou and the massive project that the Harris County Flood Control District undertook to mitigate those effects, which some people including Bell are now saying have taken too long and not done enough. None of this, you may note, has anything to do with ReBuild Houston. I’m sure Bell has been critical of ReBuild Houston, but as far as I can tell what he has not done – along with Adrian Garcia and Marty McVey – is publicly express an opinion on the Supreme Court ruling or the subsequent new litigation or the call for a revote. Any or all of those things would have been nice to know, but none of them are a part of this story. I don’t know if Chron reporter Tina Nazerian didn’t think to ask about any of these things or just didn’t report the answers she got when she did. Either way, we got nothing. For a bit of writing that does have something to do with ReBuild Houston, see PDiddie. Boy, does this sound like a great opening to a crime novel. Houston’s bayous, dotted by marshy banks and filled with bass and catfish, weave through the city, providing an appealing landscape for joggers and cyclists. But beneath the murky, brown waters is something not as pleasant: a makeshift dumping ground of cars, trucks and vans. Tim Miller, director of Texas Equusearch, said his volunteer crews have evidence that 127 vehicles are submerged in the bayous. Miller said there are potential environmental and safety hazards of having cars corroding the city’s waterways. Texas Equusearch crews found the vehicles while assisting the Houston Police Department with a search for 82-year-old Lillian High in October 2011. Her body was found inside a rented Dodge Avenger that had plunged into the pond a few miles from her Houston home. During that search Miller said the organization’s sonar equipment discovered vehicles in Sims, Braes and Buffalo bayous. In recent months, Miller said many bodies have been discovered in vehicles in Texas and around the country, compelling him to go public with the information. He cited two cases from April, one in which police in South Dakota found the bodies of two teens who disappeared 42 years ago. Later that month, police found skeletal remains inside a truck recovered from a North Texas lake of a woman missing for 35 years. HPD says the know all about the cars and they dispute the claim that there could be bodies in one or more of them. I have no opinion about that, but I do think from an environmental point of view that we ought to do what we can to get these cars out of there. They can’t be doing any good down there. Let’s figure out how much it might cost, then see if we can come up with an action plan. Swamplot has more. Interesting story about a group of scientists cataloging invasive species in the area. Termed the Texas Rapid Assessment Team — Galveston, the group includes scientists from across the spectrum of disciplines and expertise conducting surveys and collecting samples to document all the alien/invasive species they can find. Their focus is strictly the Galveston Bay area, particularly the watersheds feeding the bay. “We have cooperators looking at everything from phytoplankton and algae to fish, vegetation, mammals — the whole spectrum,” said Leslie Hartman, a Texas Parks and Wildlife Department coastal fisheries scientist and coordinator of the TxRAT project. More than 30 state and federal agencies, universities and private organizations are helping support the effort with personnel, equipment and funding. The aim is to catalog as many alien/invasive species as possible and include information on their locations and distribution. This information will serve as a “baseline” for future monitoring of alien species and their impacts, Hartman said. 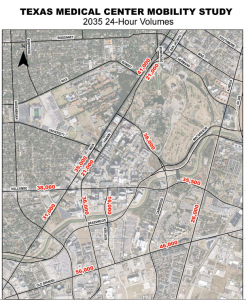 Among the places they’re looking are in urban areas, such as Houston’s bayous, as these are the entry points for a surprising number of unwanted visitors. The armored catfish are South American natives. Commonly called plecostomus, “plecos,” “sucker catfish” or “algae eaters” in the aquarium trade, juvenile armored catfish are sold to hobbyists. The small catfish eat the algae growing on aquarium glass. But little plecos grow into big armored catfish. And when owners tire of the fish or the fish get too large for the tanks, they end up in streams and bayous. Houston’s bayou system swarms with armored catfish, which thrive in the near-tropical water. They face no natural enemies or other population controls and get big, with some growing to more than 2 feet long. While their impacts on native species remain unclear, armored catfish do have a definite environmental and economic impact. Like most catfish, they are “cavity nesters.” The well-named armored catfish, their heads and bodies encased in a bone-hard exterior, carve “nest” holes in the clay sides of the bayou. When water levels are low, the holes can be seen along the banks of the bayou. In some places, dozens of these cavities pock the bayou. Those holes weaken the bayou bank, causing sections to slough into the water and otherwise accelerating erosion, costing the public money to maintain the banks for flood control. So please don’t dump your unwanted fish down the toilet or sewer, aquarium enthusiasts. Those fish don’t belong here, and dumping them like that costs us all money. Hermann Park Conservancy on Saturday will formally unveil $14 million in park improvements, including a new miniature train station, dramatically landscaped grounds and a lakeside plaza featuring a restaurant, gift shop and rest­rooms. Among other project highlights for the 6-acre tract adjoining the northeastern edge of McGovern Lake, said conservancy executive director Doreen Stoller, were the planting of 300 trees and improvement of a waterway that will drain to Brays Bayou. Stoller likened the transformation of the area, which abuts parking for the Houston Zoo, to that at downtown’s Discovery Green. “This is even prettier than I imagined,” she said. The station will serve as the focal point of the expanded miniature railroad, whose route was lengthened to nearly two miles and now includes stops at the Houston Museum of Natural Science, the Texas Medical Center and a transfer point to Metro’s light rail system. We go to the zoo a lot, so we’ve been watching this progress. I can’t wait to take the girls on the new train – they’ll love it. I just hope yesterday’s inclement weather didn’t put a damper on the festivities.